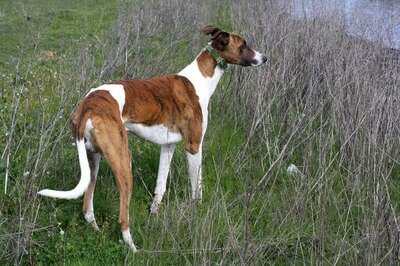 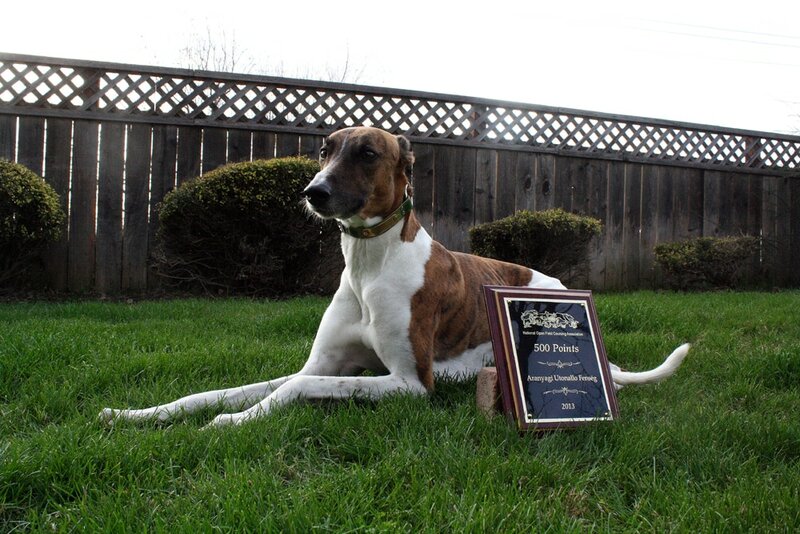 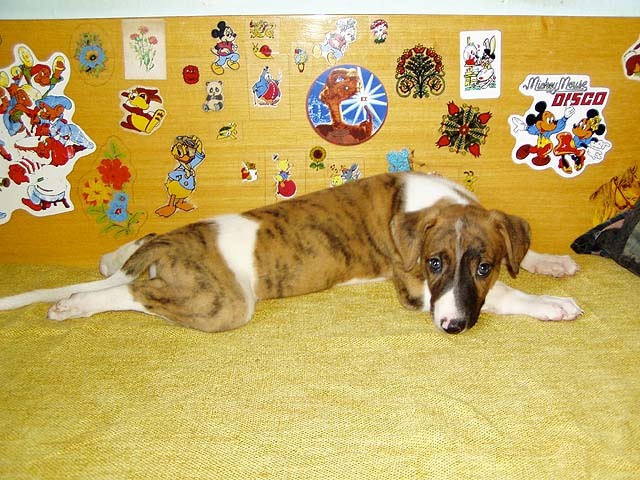 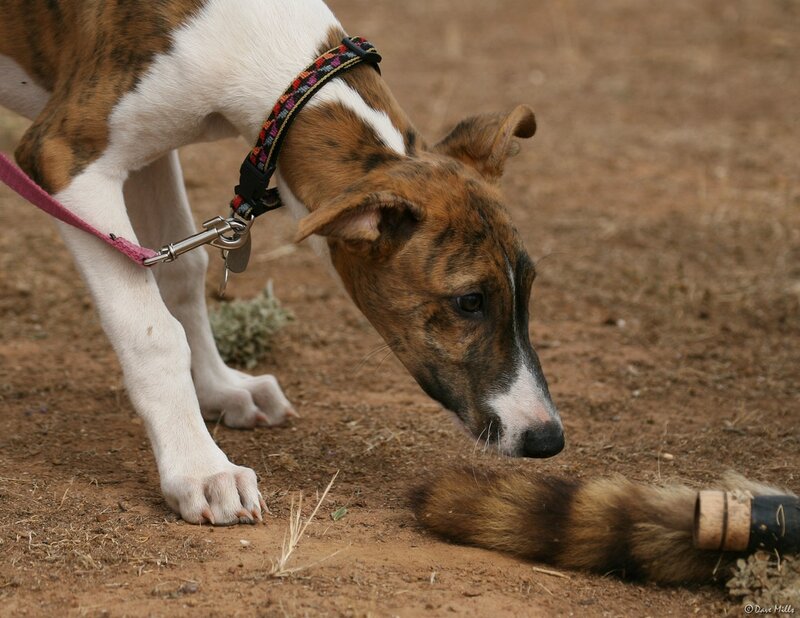 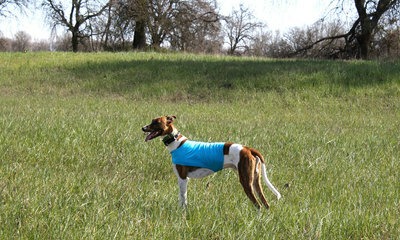 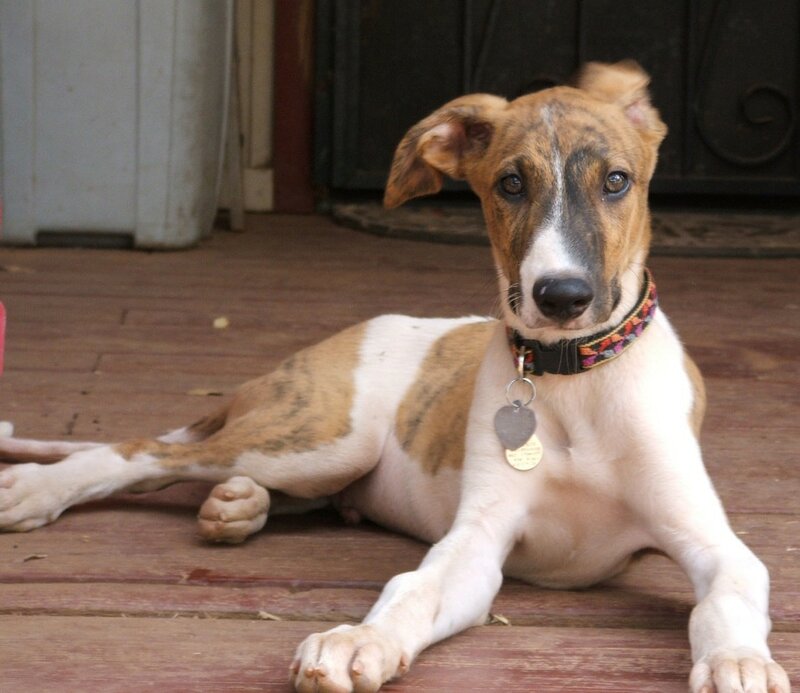 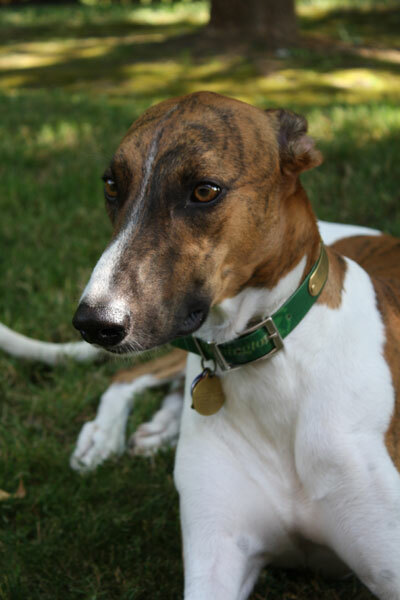 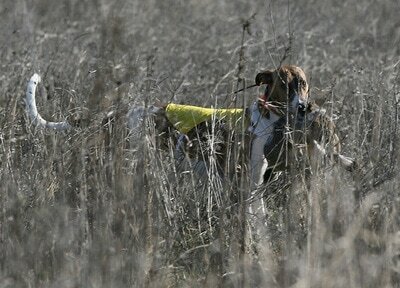 ​Gil is the patriarch of Stout-Hearted Hounds, loved and respected by all who know him. 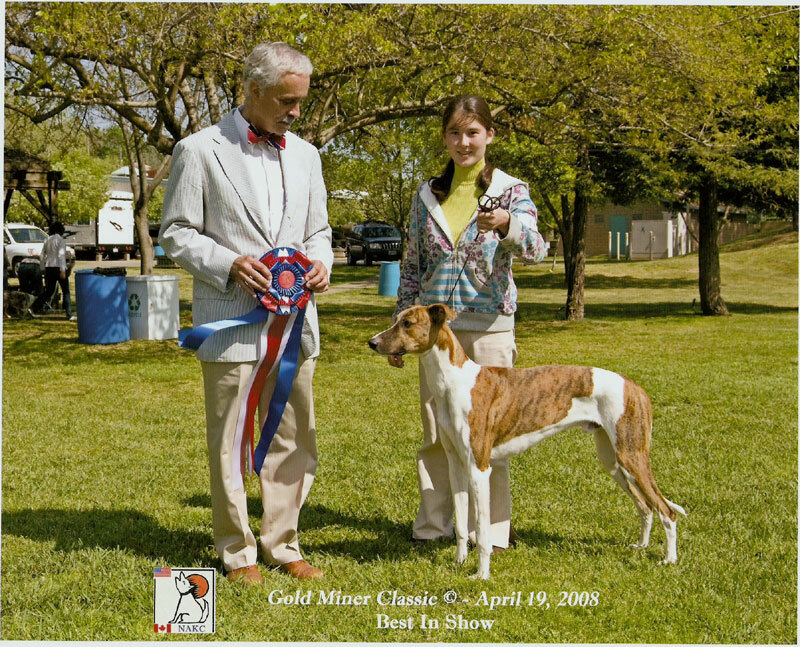 I imported Gil from Hungary when he was just 4 months old, and from the moment he stepped off the airplane he changed my life forever. From his first exposure to the lure as a 5 month old, to today at nearly 10 years, Gilly has always given 200% effort towards everything he does. 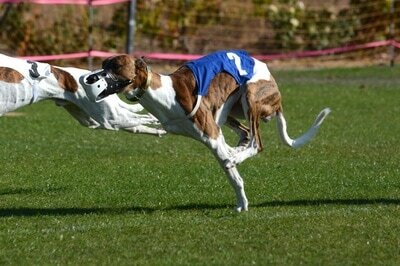 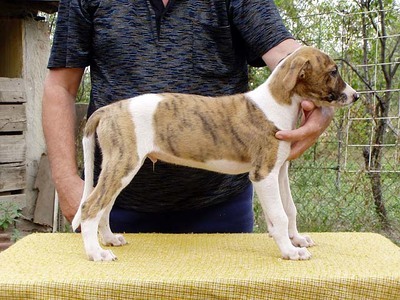 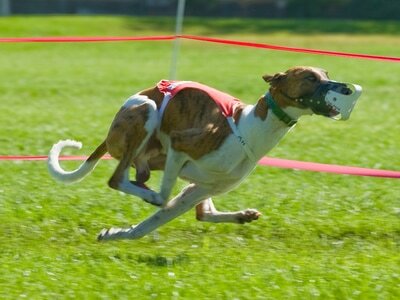 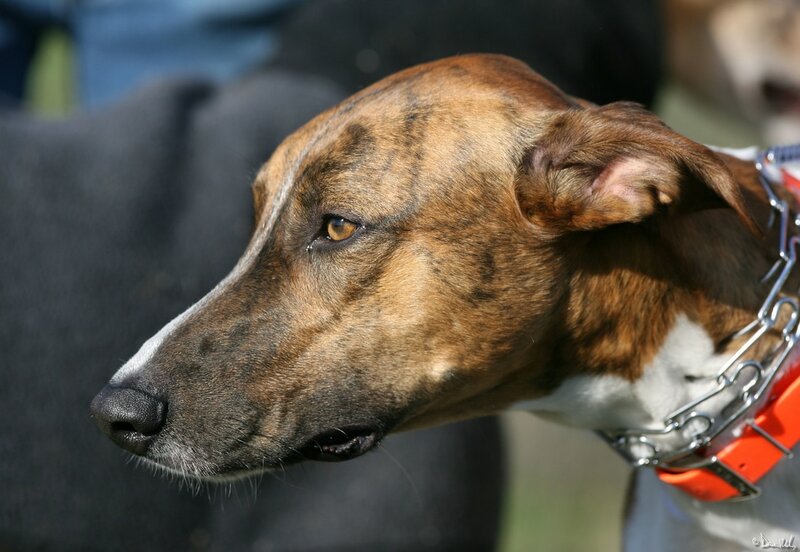 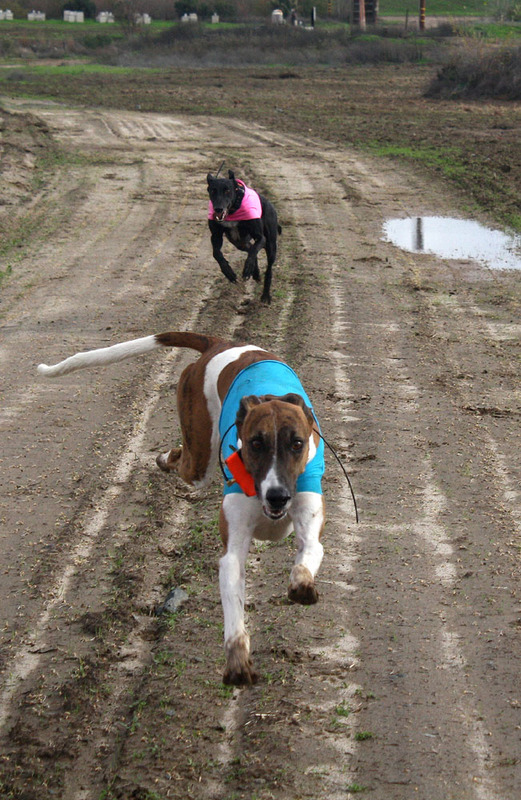 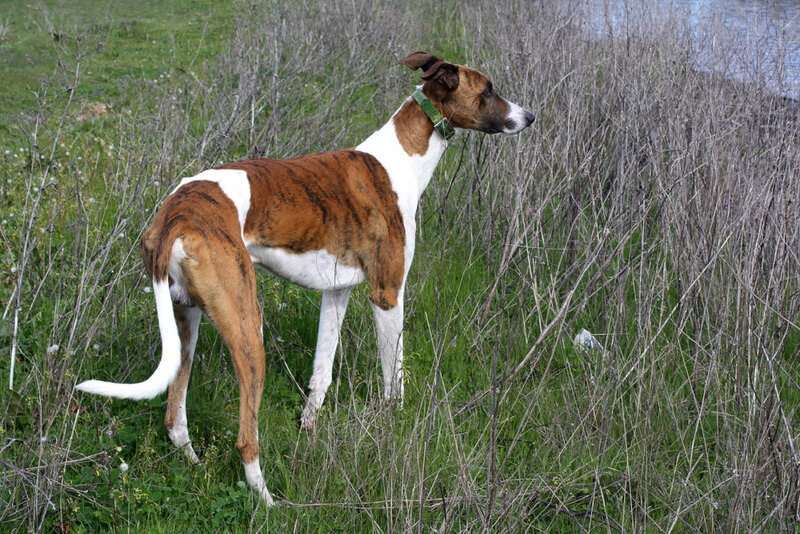 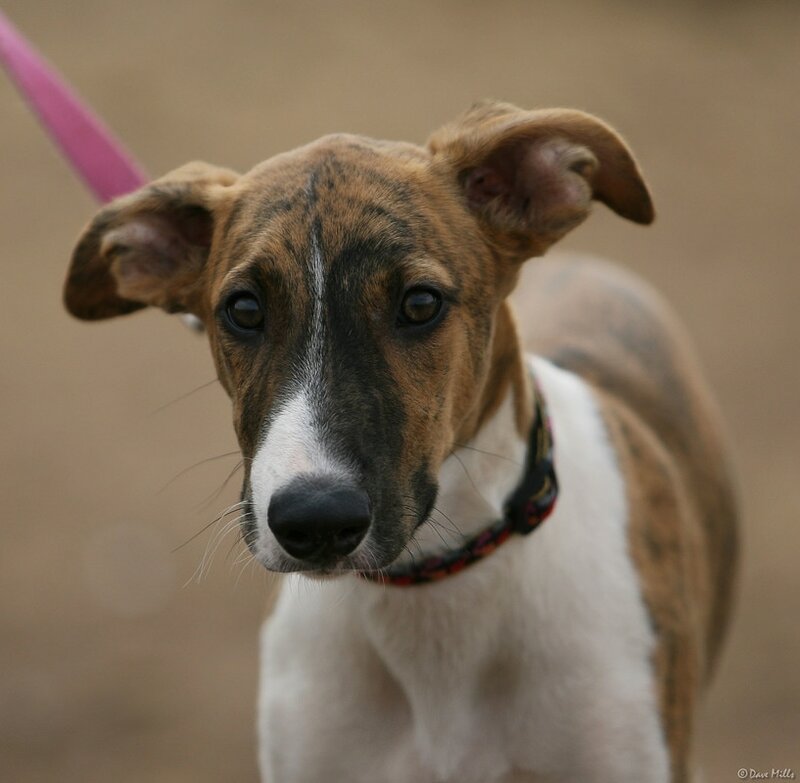 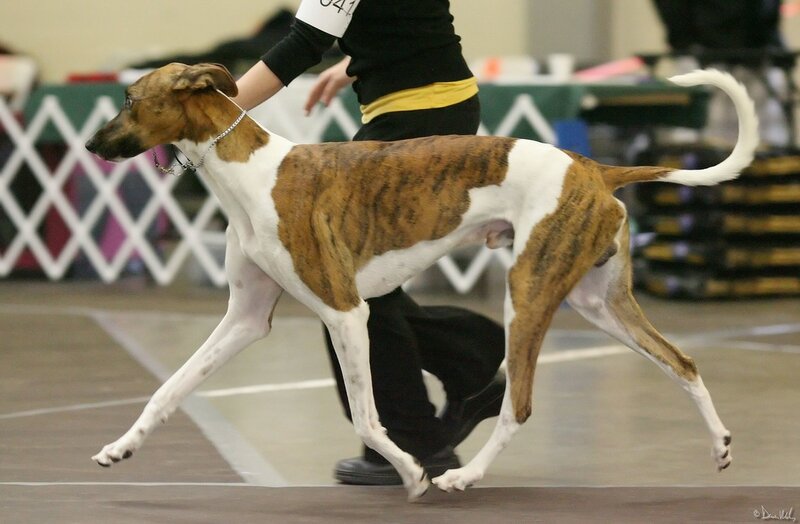 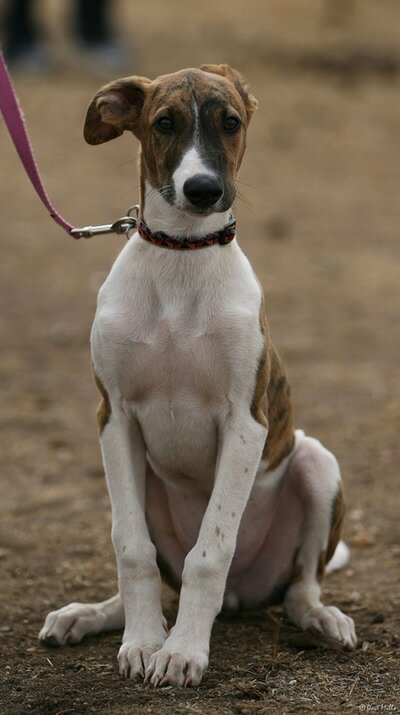 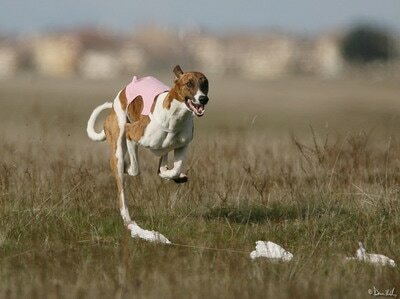 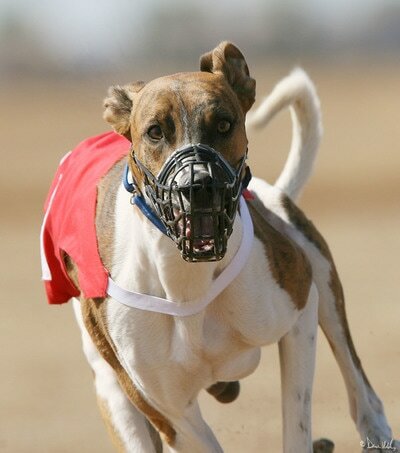 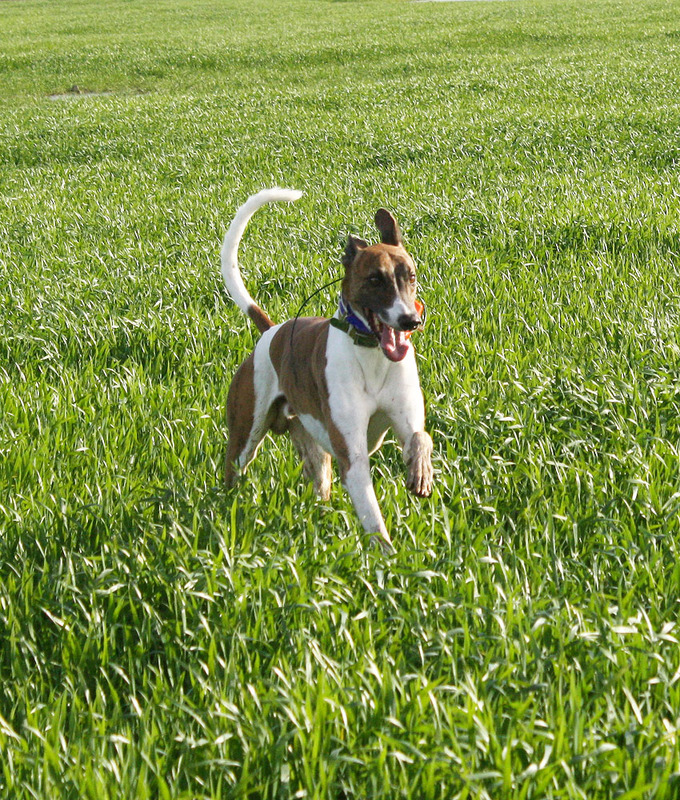 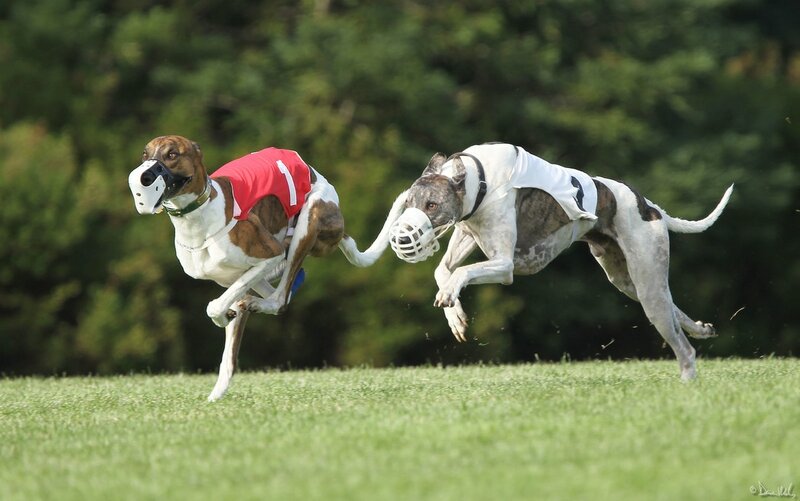 As a racing dog, Gil was a very quick study, becoming the first Magyar Agár to earn a LGRA Sprint Racing Championship in 2009. 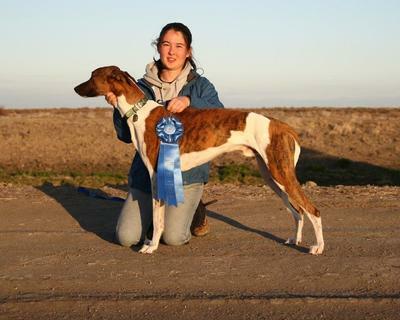 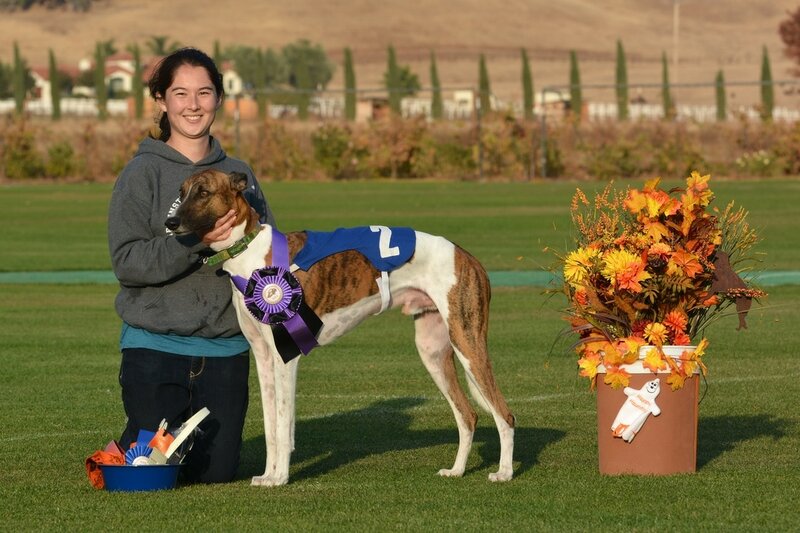 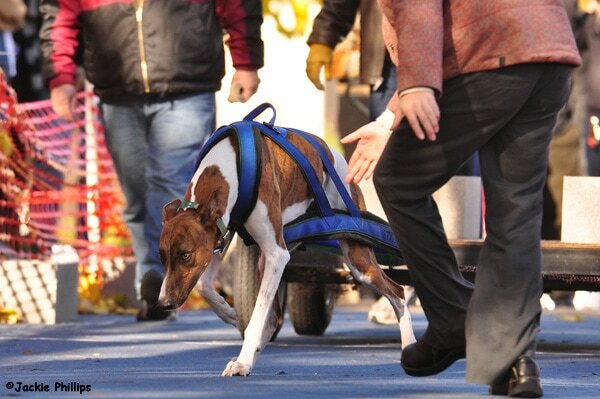 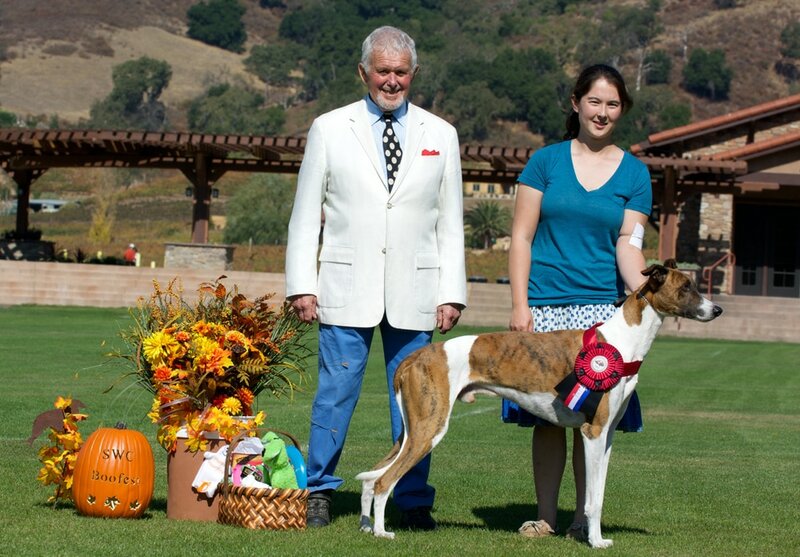 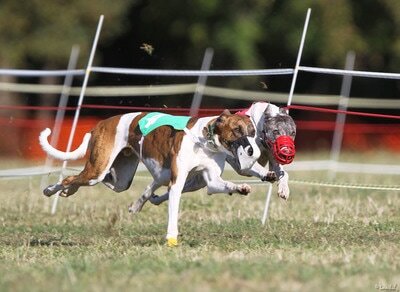 He was the #1 ranked Magyar Agár in LGRA Racing for 2009 and 2010, and was High Scoring Hound at our National Specialty race meet in 2013. Since then, Gil has slowed down quite a bit, but he still has the same amount of passion and fire for the lure that he did as a 5 month old pup. He is the perfect teacher for our up and coming racers, as he is very steady and consistent. 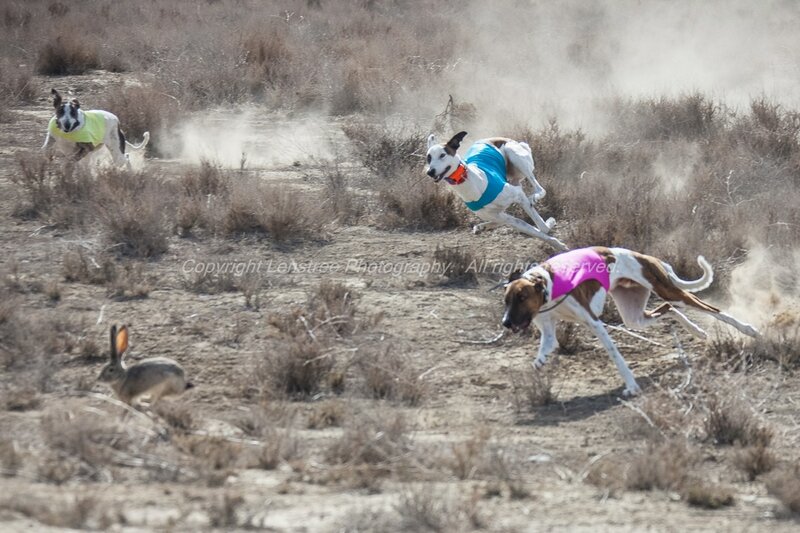 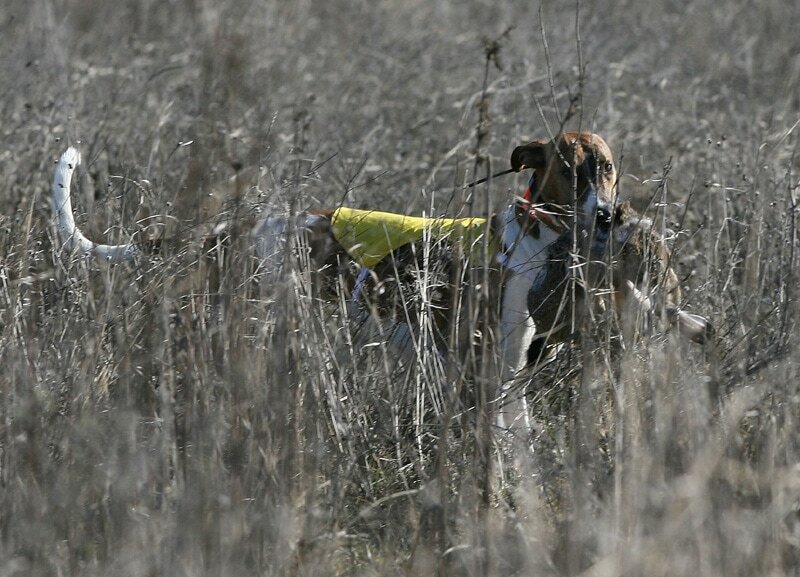 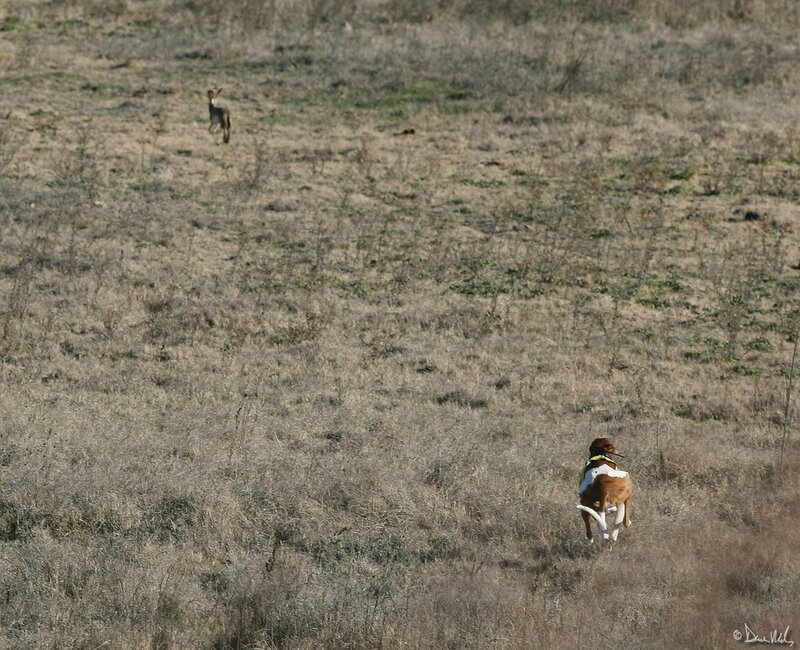 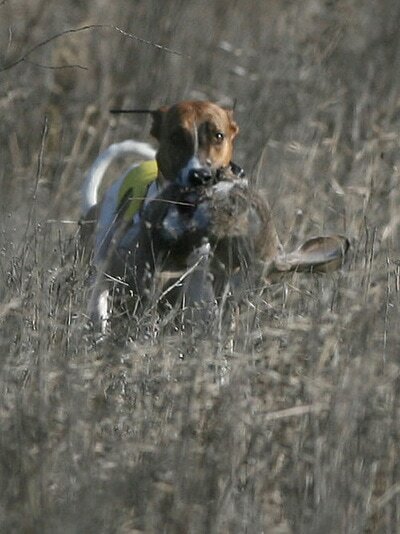 Even more than racing, Gil absolutely loves to hunt. 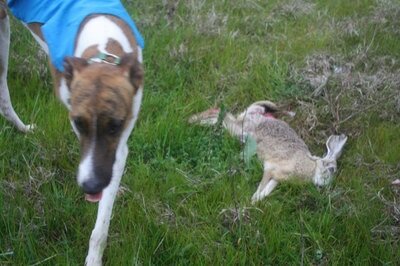 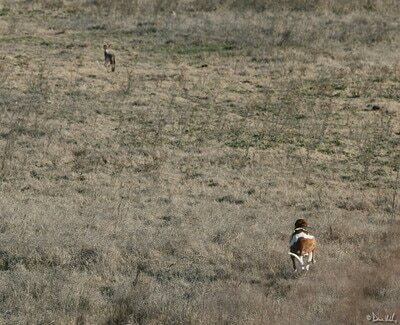 The very first time he saw a hare he coursed it like he had been doing it his whole life. 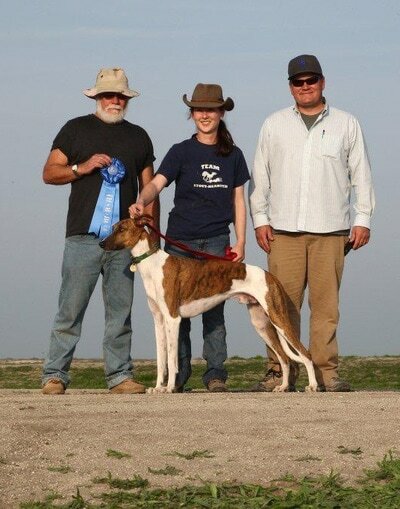 He was the first Magyar Agár to earn a NOFCA Coursing Championship, Courser of Merit and 500 CC Points Award, the first UKC Bench Champion, and the first Magyar Agár to earn a weight pulling title. 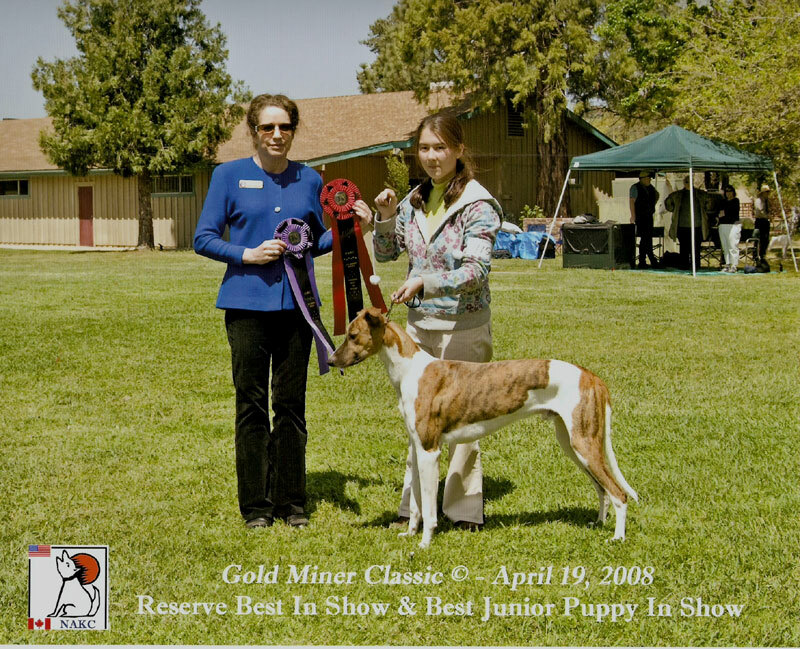 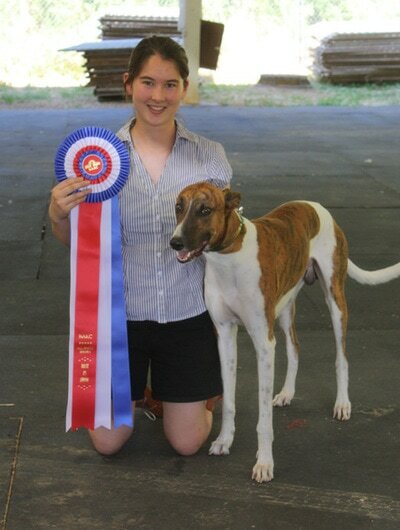 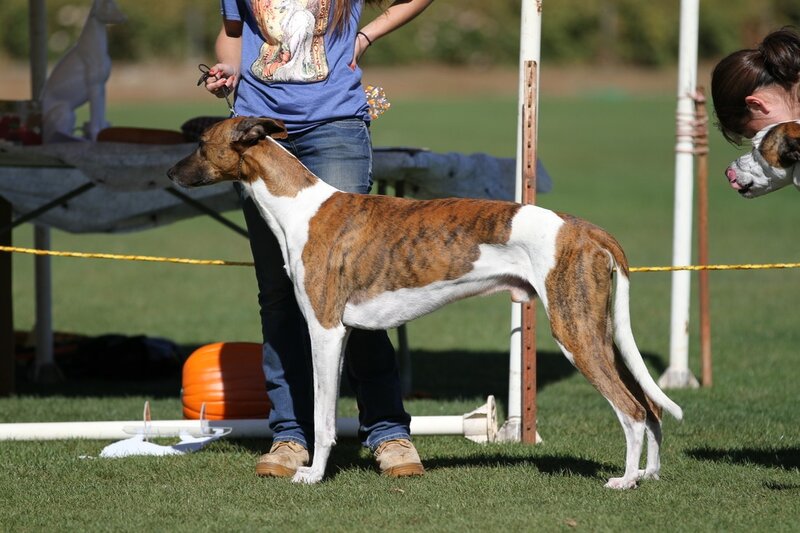 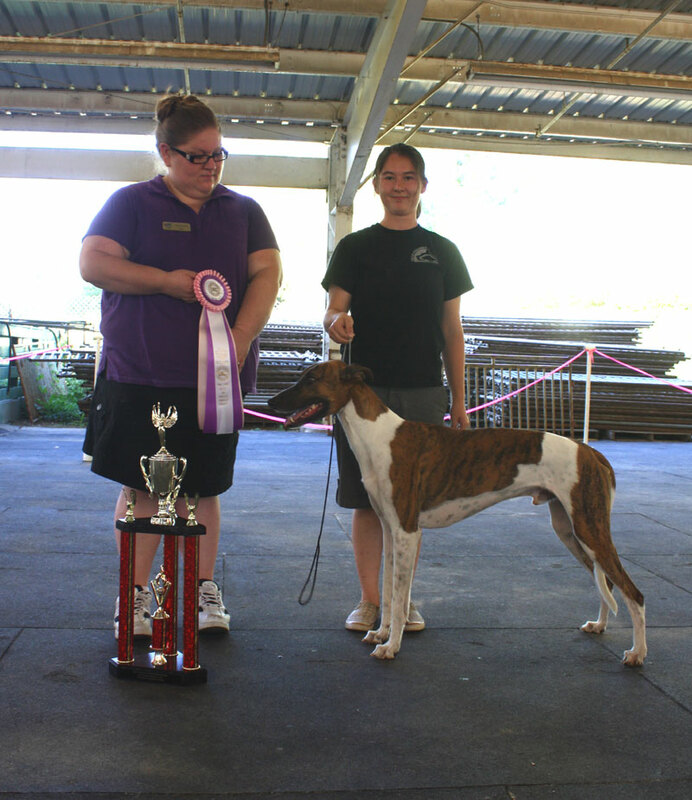 He has been an amazing sporting dog, show dog, stud dog, and most importantly, an amazing companion and friend. 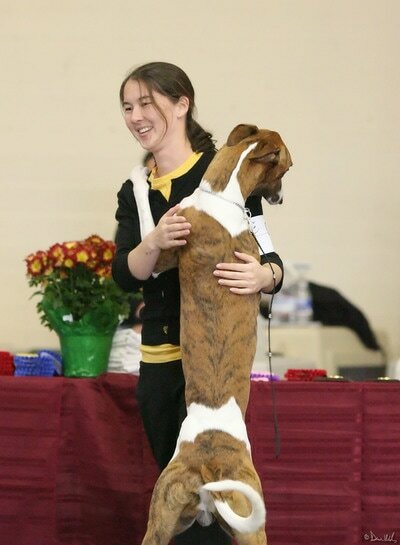 He is everything I love about the breed, and is the standard by which I judge all others of his breed.